IDENTIFICATION AND USE: Diethylamine; (DEN) is a colorless liquid with fishy, ammonia;-like odor. It is used in petroleum industry, in flotation agents, dyes, pharmaceuticals. It also used as a selective solvent for the removal of impurities from oils, fats, and waxes, and as a corrosion inhibitor in iron;, steel, and metal industries. HUMAN EXPOSURE AND TOXICITY: Adult volunteers were exposed to 25 ppm (75 mg/cu m) diethylamine; in a climate chamber for 15 min in order to study the acute nasal reactions to an exposure equivalent to the present threshold limit value-short-term exposure limit. 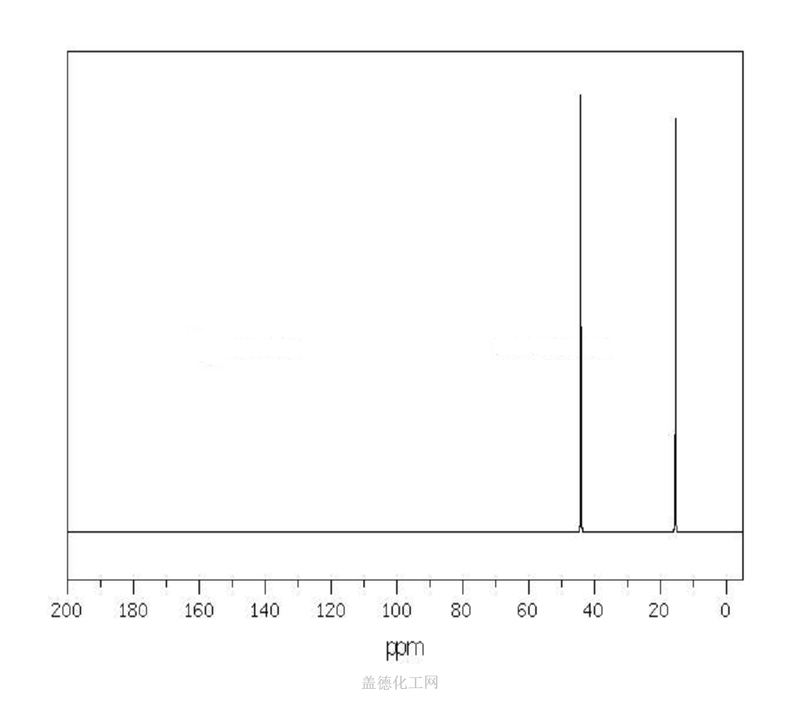 Exposure to a concentration increasing from 0 to 12 ppm took place for 60 min, equal to an average concentration of 10 ppm (30 mg/cu m). A moderate to strong olfactory response and distinct nasal and eye irritation were observed. Edema of the epithelium of the cornea, generally without pain, has been produced by diethylamine; vapors, causing colored halos to be seen around lights. The edema of the corneal epithelium, which is principally responsible for the disturbance of vision, clears spontaneously by the next day, but after exceptionally intense exposures the edema and blurring have taken several days to clear and have been accompanied by photophobia and discomfort from roughness of the corneal surface. ANIMAL STUDIES: Rabbits were exposed to DEN vapors at 50 and 100 ppm, 7 hours/day, 5 days/week for 6 weeks. All rabbits survived the exposures and had normal body weights without demonstrating any outward signs of response to the chemical. At 100 ppm, lungs contained cellular infiltration and bronchopneumonia; livers had parenchymatous degeneration with evidence of cell regeneration; and kidneys showed nephritis. The same changes, but to a lesser degree, were produced at 50 ppm. A suggestion of very slight cardiac muscle degeneration was seen in rabbits inhaling 50 ppm but was not evident at 100 ppm. Male and female rats were exposed at 0,25 or 250 ppm diethylamine; (DEA) vapor, 6.5 hr per day, 5 days per week, for 24 weeks in order to assess cardiac and other organ system toxicity. During the first 2 weeks of exposure, the rats exposed at 250 ppm DEA did not gain weight. After 2 weeks, however, the rate of weight gain of these rats was greater than that of controls. Nevertheless, mean body weights for both sexes of rats exposed at 250 ppm DEA remained depressed compared to controls throughout the study. Sneezing, tearing, and reddened noses were seen in rats exposed at 250 ppm DEA. Histopathologic examinations revealed lesions of the nasal mucosa of rats exposed at 250 ppm DEA. These lesions of the respiratory epithelium consisted of squamous metaplasia, suppurative rhinitis, and lymphoid hyperplasia. There were no pronounced treatment-related effects on organ weights, hematology, or clinical chemistry indices except for blood urea nitrogen which was evaluated in rats of both sexes exposed at 250 ppm DEA for 24 weeks. In contrast to the high-dose animals, no treatment-related effects were observed in rats intermittently exposed at 25 ppm DEA for up to 24 weeks. No evidence of cardiotoxicity was seen in rats exposed to either DEA concentration for up to 24 weeks. Diethylamine; was evaluated for mutagenicity in the Salmonella/microsome preincubation assay. Diethylamine; was tested at doses of 0, 10, 33, 100, 333, 1000, and 3333 ug/plate in four Salmonella typhimurium strains (TA98, TA100, TA1535, and TA1537) with or without metabolic activation. Diethylamine; was negative in these tests. Diethylamine; was not mutagenic in either of two independent bacterial mutagenicity assays, each conducted with and without exogenous metabolic activation enzymes. Bacterial strains tested included Salmonella typhimurium strains TA98, TA100, TA1535, and TA1537 and Escherichia coli strain WP2 uvrA/pKM101. In addition to the negative results in the two bacterial assays, no significant increases in the frequencies of micronucleated erythrocytes were seen in peripheral blood of male or female mice from the 3-month study. NTP conducted 2 year inhalation studies in rats and mice. There was no evidence of carcinogenic activity of diethylamine; in male or female rats exposed to 31, 62.5, or 125 ppm. There was no evidence of carcinogenic activity of diethylamine; in male or female mice exposed to 16, 31, or 62.5 ppm. Exposure to diethylamine; resulted in increased incidences of nonneoplastic lesions of the nose in male and female rats and mice, of the cornea in male rats, and of the pleura and lung in female rats.